• Perfect on tables, shelves, counter tops, and more, this nut cracker measures 3" x 3" x 9". 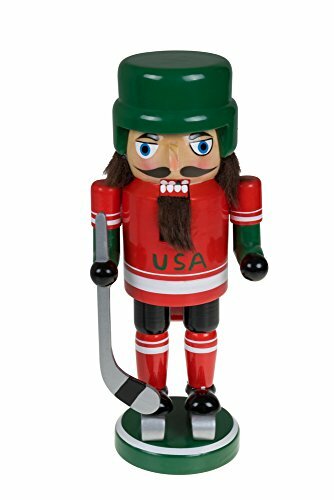 GREAT GIFT FOR THAT SPORTS FAN: Features a hockey player with helmet, jersey, skates, and a stick. All ready for the ice! PERFECT SIZE: Perfect on tables, shelves, counter tops, and more, this nut cracker measures 3" x 3" x 9".